At some point in our lives, we all need to use a lawyer. When a child suffers a brain injury, we can’t emphasise enough how important it is that families seek advice from firms that truly understand the impact this has on the child and how life will change for the whole family. The charity has created a network of regional partnerships to ensure that the children, young people and families that we work with get the right legal support as soon as possible. This can cover a wide range of topics, from assisting with pursuing a claim for welfare benefits or compensation to understanding what your employment rights are if you need to take time off work to care for your child. 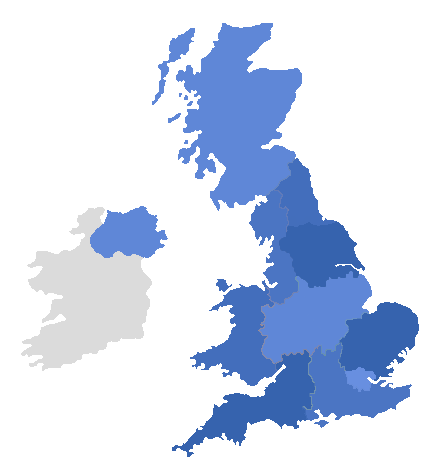 The partnerships cover all regions within England, Scotland, Northern Ireland and Wales. Just click on the region that you live to find out more about the Legal Support Service that is available in your area. The Child Brain Injury Trust has established partnerships with firms that have met the strict criteria that have been set by the charity. However, we do not offer any guarantee as to the information or service that the firms involved may or may not provide. No liability will attach to the Child Brain Injury Trust or any of its servants or agents as a result of any person relying upon this panel of regional law firms. If for any reason you are not happy with the service that your solicitor is providing, please contact the firm directly through their own complaints management system. This information can be found on their website. We ask the lawyers who work with the charity to abide by the code of conduct that has been set out by the Association of Personal Injury Lawyers. If you believe the lawyer has breached any aspect of this code, please notify us in writing, stipulating which part of the code you believe they have broken. You can find the code here. If you are unhappy with the general quality of the service offered by a law firm, we suggest that you contact the Legal Services Ombudsman.